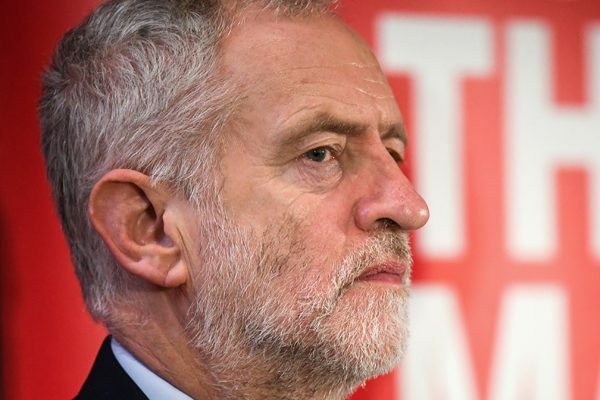 People have been asking FactCheck why so few journalists covered the news that Labour leader Jeremy Corbyn has been awarded something called the Sean MacBride Peace Prize. The complaint is that the “mainstream media” as a whole has ignored a good news story about Mr Corbyn, perhaps in a sign that they are biased against him. Left-wing bloggers have picked up on the lack of media interest, as have the websites of RT and Press TV, broadcasters funded by Russia and Iran respectively. We think it’s true that no major UK broadcaster or newspaper ran a substantive story on Mr Corbyn’s prize. But we don’t think it’s that surprising. Here’s why. 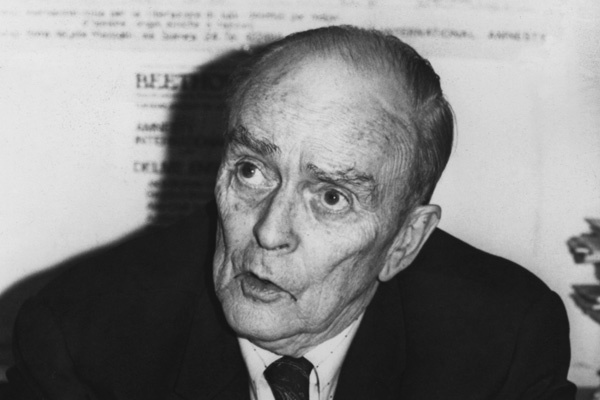 The Sean MacBride Peace Prize is awarded by an organisation called the International Peace Bureau (IPB). It’s named after the bureau’s former chairman, who also briefly held the post of chief of staff of the IRA in the 1930s, before becoming a mainstream politician in Ireland. He served as Ireland’s foreign minister and was awarded the Nobel Peace Prize in 1974 in recognition of decades of human rights work. Central to the story about Mr Corbyn facing a “media silence” is the idea that the prize is a prestigious one, and therefore something you would have expected the media to cover. That’s the suggestion made on the left-wing website Skwawkbox – it’s a “landmark award” and a “major international award”. Critics have noted that the International Peace Bureau effectively awarded the prize to itself last year. They named their own secretary-general, Colin Archer, as the winner. Previous winners include Chelsea Manning, the former US soldier jailed for espionage after giving classified documents to Wikileaks. We’re not really in a position to say whether winning a Sean MacBride Peace Prize is or should be considered a major achievement: it’s a matter of opinion. But we can try to measure how much attention prizewinners usually get from the British media, to see whether Jeremy Corbyn is being unfairly scorned. We used Factiva, a paid-for media archive, and searched for mentions of the prize in the UK media since it was established in 1992. Leaving the search options as wide as possible (“all dates” and “all sources”), we can only find two mentions of the prize in UK newspapers. One is a Sunday Times story from 1994 about activists trying to hand over the award to the Israeli nuclear whistleblower Mordechai Vanunu. The other is a Guardian article from 2013 about a former winner – the Irish president Michael D Higgins. There are a number of other mentions in Irish newspapers, mostly in respect of Mr Higgins as well. We can’t find a single example of a British or Irish newspaper covering the announcement of the winner as a newsworthy event in itself – as, say, the identity of the winner of the Nobel Peace Prize is usually reported every year as a news story. A Google news search shows a similar general lack of interest in the Sean MacBride prize from the online news media. Again, we can’t find even one example of a major media outlet covering the prize as a news story in itself in previous years. We can’t be sure that the searches we’ve done cover every single story ever published in newspapers or online, and they certainly don’t cover broadcast news. But they do suggest that – rightly or wrongly – the British media doesn’t tend to report on the awards. Mr Corbyn accepted the prize in person in Geneva on Friday, but the news that he had won it was first announced via a press release in September. The IPB said at the time that Mr Corbyn was due to receive the award at a ceremony in Barcelona in November, but they told FactCheck they changed the handover to a time and place more convenient for the Labour leader to attend. The IPB issued a press release about Mr Corbyn’s win, but we can’t find any evidence that the Labour leader publicised it himself at the time. A search of Labour press releases and Mr Corbyn’s Twitter feed for any mention of the prize comes up blank. And as far as we can tell from Google, none of the websites reporting the silence of the mainstream media now – skwawkbox, rt.com and presstv.com – covered the news that Mr Corbyn had been given the award back in September. The 2017 Sean MacBride Peace Prize had three recipients this year: Mr Corbyn, the linguist and activist Noam Chomsky and a Japanese protest group – the All Okinawa Council Against Henoko New Base. It’s the first time the prize has been split between three winners. It’s true that there was little media interest in Mr Corbyn’s peace prize. Is this a sign of institutional bias against him? Probably not. We know that the media aren’t ignoring the Labour leader in general. His speech to the United Nations in Geneva last week was widely covered by media outlets. But it seems from our archive searches that the media generally pays little attention to the Sean MacBride Peace Prize. The prize has not historically been viewed as a particularly newsworthy event in the British media. That may be fair or unfair, but it offers a more straightforward explanation than a nefarious media conspiracy of why Mr Corbyn’s win got little attention.